Make sure you find the right organization for you. Choosing a mission agency can be difficult task to navigate. Not only are you looking for a group with the same beliefs and ideology as you, but you also need to be with an organization that meets your needs practically and encourages you to follow the call that God has put on your life. So how do you choose? Below are some helpful tips for choosing the mission agency that is right for you. From team chemistry to finances, we’ll walk you through the steps necessary to confidently choose a mission, regardless of whether it ends up being us or someone else. How well do you fit with the ministry philosophy, beliefs, ethos, standards and strategy of the mission? We can confidently say that people who feel they are in harmony with an organization in these areas are more productive and positive during their tenure. It should also be noted that people tend to stay longer with organizations where there is a “zone” in which they perceive they are able to grow and develop both personally as well as professionally. How well do you fit with the ministry position or opportunity that you are pursuing, or that you are assigned? Ministry on the field functions best when people are operating in their area of personal strength rather than weakness. As you determine the details of your ministry, your training and equipping are only a part of the equation; you must also consider vision and passion. There will be days, even weeks, where the challenges of cross-cultural life can cause great discouragement. We believe that the vision and passion the Lord gives you will see you through such times and enable you to be most effective in what you are called to do. How well do you get along with co-laborers in the field and at the home office? At WorldVenture you will be a part of a ministry team of other missionaries and local partners. Your ability to get along with co-laborers on the field can make or break your experience. With the challenges of living and working cross-culturally, interpersonal harmony is an important factor in everyone’s success. What are the strategies and methods used to accomplish the work? What is the agency’s relationship with foreign governments? What does the agency’s presence in foreign countries look like? How closely do the missionaries work with local church leaders? Do you have partnerships with local ministries? What kind of partnerships do you have with other mission agencies? What criteria are used for choosing a field to work in? How is it determined what kinds of ministry occur on a field? What role does relief work play in relationship to evangelism/church planting? How readily accepted are my ideas about the direction of the ministry on the field? How much autonomy will I have to make decisions regarding my own work? How will I be evaluated? How will I be held accountable? Do the leaders of the mission have experience on the field themselves? What is the structure of the mission and of how does it benefit the missionaries? How often and to what extent do field leaders communicate with the home office? What is the ratio of full-time staff at the home office to full-time missionaries? What personality/psychological assessments must a missionary take? How influential are the results of these profiles on placement? What are the main requirements for your missionaries? What level of education must they have? From which countries do you get missionaries? Who decides how missionaries’ children will be educated? Is there training/equipping opportunities for families and parents? What kind of emotional/psychological support is offered to missionaries and their families? Where does a missionary’s salary come from? How are those funds distributed to the field? What percent of a missionary’s support goes to the agency? What benefits are provided the missionary for that percentage? What sort of medical insurance is provided? Does it include evacuation insurance? What kind of pension or retirement plan is available? What is the mission’s view on the inerrancy of scripture? What is the agency’s view of spiritual gifts? What is the agency’s view of eschatology? In the end, we hope that you choose a mission that is the best fit for you, your family, and the ministry that God has called you to do. Especially if you are looking to serve long-term, the relationship between you and your mission agency is vitally important to your success and overall well-being. If you’re reading this and need someone to talk to about this journey, please get in touch! 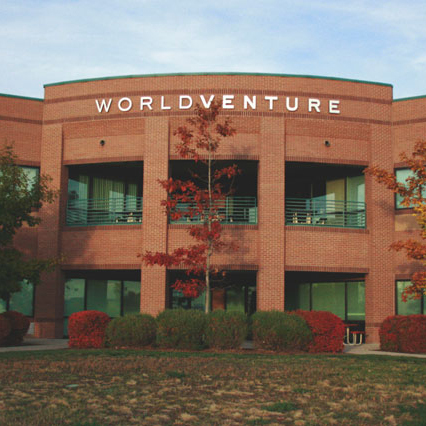 We would love to walk with you, answer any questions, and help you figure out if WorldVenture is right for you.